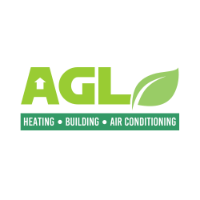 AGL Heating and Plumbing Engineers, based in Rainhill, St. Helens, Merseyside, has over 20 years of experience in Domestic and Commercial Central Heating. We carry out most of our work in St. Helens and the surrounding areas, but we cover the rest of the U.K. for larger scale works. We carry out all aspects of gas work including gas boiler servicing, repairs, power flushing and full central heating installations. We also install Green Energy products such as Solar Thermal, Heat pumps and Biomass. We never charge call out fees and offer a 24/7 service in cases of emergency. It’s vital that only Gas Safe Registered engineers carry out gas work. Not only is it illegal for someone not Gas Safe Registered to work with gas, it can potentially jeopardise the safety of you and anyone else in your home. It may also nullify your home insurance. If not carried out correctly, gas work can be the cause of all types of horrible consequences, such as carbon monoxide poisoning, fires and explosions. To avoid this happening to you, we strongly advise that you check an engineer’s Gas Safe qualifications before hiring them to do work for you. We are Gas Safe Registered, no. 620794. You will be able to see our company registered on the Gas Safe website using the above six digit ID number. Offering our heating and plumbing services throughout the U.K., including local St Helens, Warrington, Widnes, Wigan, Cheshire, Rainhill, Rainford, Liverpool and Merseyside. 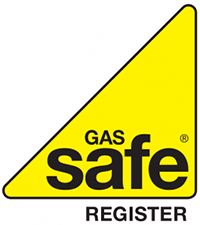 For your peace of mind, we have over 20 years of experience and are Gas Safe Registered (registration no. 620794). It's vital only Gas Safe registered engineers carry out gas work. 2) We are a small, family based company, so we don’t carry the same sort of overheads that a larger company would. All work we carry out is fully guaranteed from latent defects for a period of 6 years. As well as this, we hold £2 million public liability insurance for all work we carry out, giving you complete peace of mind. Please get in touch to find out more about our services.